COME JUMP WITH US // we are flippin' awesome! We are located about an hour from Jacksonville, Gainesville, and DeLand. We have a full-time Cessna Caravan that takes a load of jumpers to altitude in about 20 minutes, and there is a 182 for anyone in a hurry. There are generous landing areas, and we allow both right and left hand landing patterns. You can find a wide range of disciplines at our DZ: we love belly flyers, freeflyers, wingsuiters, and swoopers...as long as you are acting in a safe manner. 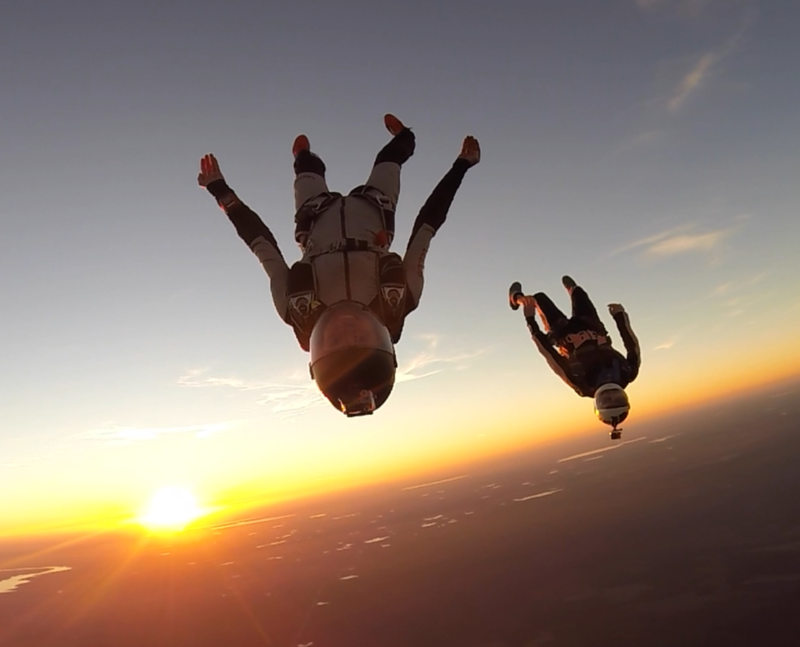 We host a wide range of workshops and classes to advance your skydiving knowledge. Or, just ask... our instructors are always available to offer advice. We allow camping on the DZ and have RV hook-ups as well. A hot water shower will ensure your freshness. FRIDAY Hop n' Pop Special!